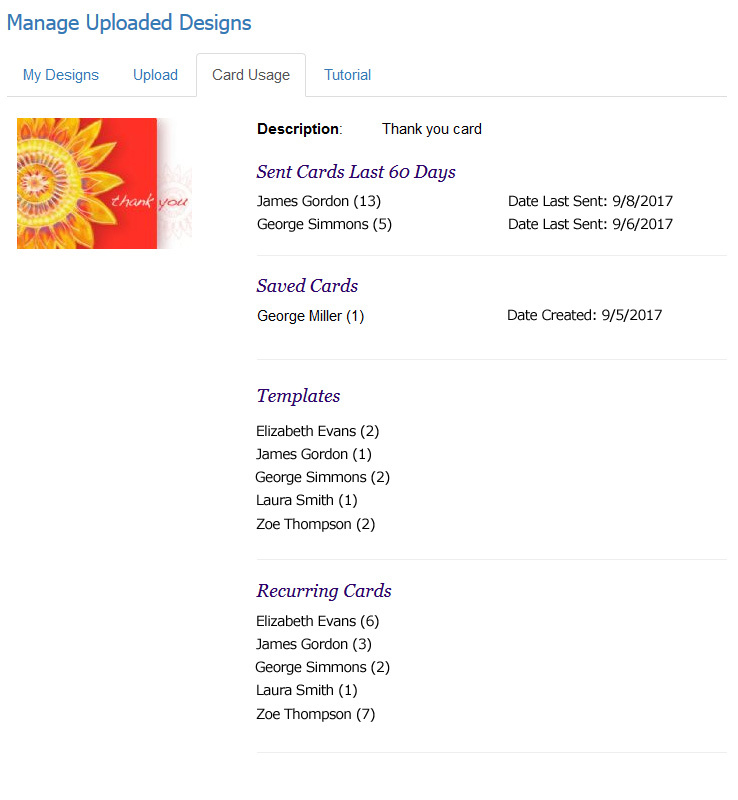 If you choose to permanently delete a design, you may get a warning that the eCard/invitation is in use by you or one of your members who has access to the design. 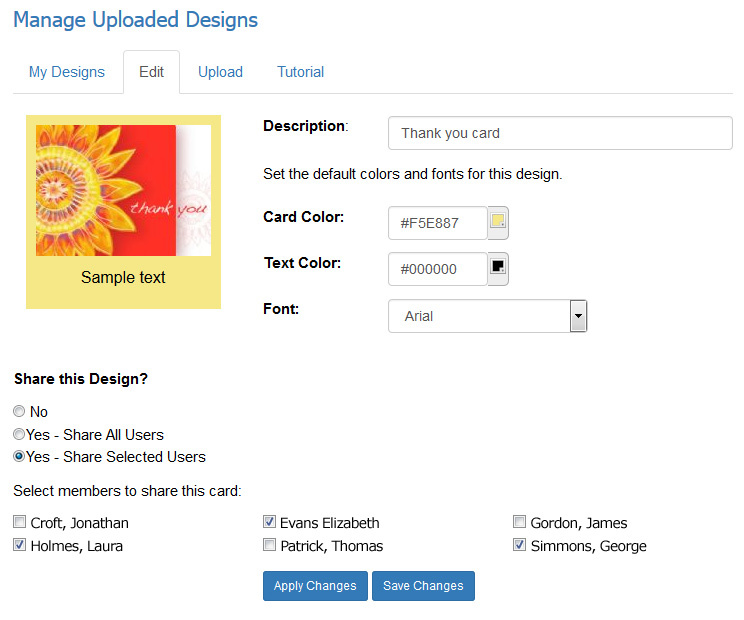 To ensure that your members and their recipients are able to view eCards that are sent, you will not be able to delete the design but you can replace it with an updated version. 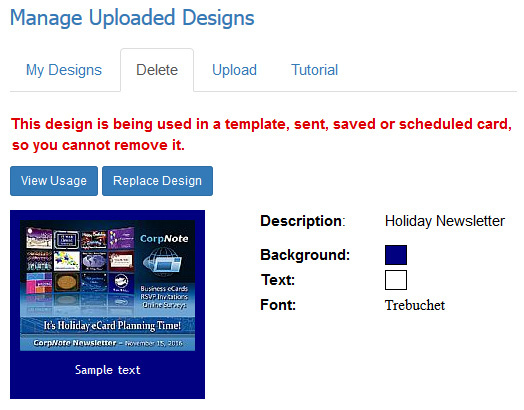 For example, a replacement is helpful if your logo has changed or the eCard design/text needs to be updated. 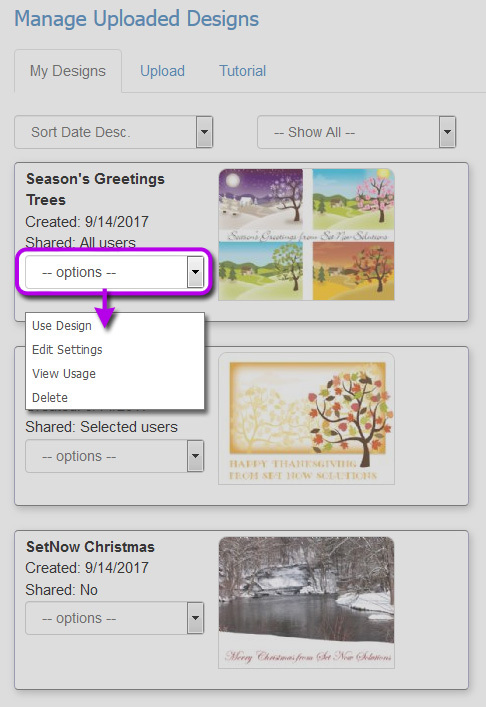 If you replace the image, eCards/invitations that are scheduled as well as templates that contain the image will display the new image you select. eCards/invitations that have been sent using the current image will display the new image when viewed in a browser. The new image may also display in the recipient's email inbox or in a social media post.